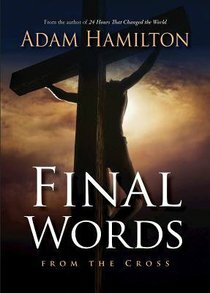 In the follow-up to "24 Hours That Changed the World, " Hamilton examines Christ's dying hours and his final words as seen and heard through the eyes and ears of those who stood near the cross. About "Final Words From the Cross"
Adam Hamilton is pastor of the United Methodist Church of the Resurrection in Leawood, Kansas, one of the fastest growing, most highly visible churches in the country. The Church Report named Hamilton's congregation the most influential mainline church in the country, and PBS's Religion and Ethics Newsweekly identified him as one of the top "Ten People to Watch." Hamilton is the author of Confronting the Controversies, Making Love Last a Lifetime, Unleashing the Word, Leading Beyond the Walls, Selling Swimsuits in the Arctic, and Christianity and World Religions, all by Abingdon Press.